I’m sure it’s no secret that wedding planning can be a tedious task. While having hundreds of things on your to do lists, making sure you continue to nurture your relationships, and mentally and spiritually preparing yourself for marriage, you have a lot to think about. And although this mountain may seem impossible to climb, I want to reassure you that this is so doable. Yes, it will take some discipline and dedication on your part, but so does any big thing you want to accomplish in life. So, why should planning the wedding you’ve always dreamed of be any different? I don’t want to give you false hope or unrealistic advice, so I will be very honest and tell you that this will be a lot of work. But it’s all about how you approach it. It’s all about your priorities and, all about the experience you want to have. So, I’ve decided to do a 2-part wedding planning recommendation series. This is Part 1, which will focus on the actual planning tasks, while Part 2 focuses on your relationships, future marriage, and the wedding day itself. My number ONE recommendation is to not go into debt for your wedding. I know how tempting it may be to see all the pretty things everyone else is doing for their big day, and wanting the same for yours, but trust me when I say, none of it is worth the burden of debt. Now, if you, your fiancé, and your families have saved up and are prepared to drop the dollar dollar bills for all the bells and whistles, then by all means, go for it. But if your funds are not as vast, you will be much better off to stretch the money you actually have rather than going into debt. The worst thing you could possibly do is start your marriage off with the burden of debt hanging around your necks. Adjusting to marriage is hard enough for the first year, and you should want to do things that make it easier, not harder. If you need a little help with planning a debt free wedding, check out this post for a few tips. 2| who’s in your entourage? So, do you have amazing friends who are supportive and excited for you as you begin this next part of your journey? Are they willing to be there for you both physically and emotionally? And are they genuinely happy for you? These are all questions you should ask yourself about each person you are thinking of inviting to be in your bridal party. If your answer was NO to any of these, then you should reconsider asking them to be a bridesmaid or groomsmen. The people you choose to stand with you on your wedding day will be there throughout your engagement journey. You will need their support and encouragement to help you through the emotional rollercoaster that is wedding planning. So, when choosing your bridal party, do it wisely. Choose them based on their level of excitement and willingness to walk with you through this beautiful time, not based on obligation or length of time you’ve known them. 3| work it out, girl! So, I know I’m not alone in wanting to look my absolute best for my wedding day, and for me, that meant I needed to lose a little bit of weight. That may not be the desire for everyone, but many brides and grooms, for that matter, would like to shed a few pounds before their big day. If you are in that camp, let me suggest that you start your workout and diet regimens as soon as possible. There are 2 main reasons I say start early and they may actually surprise you. First reason is that I’m a huge advocate of healthy weight loss, which is 1 to 2 pounds per week. I don’t care for those fad diets or crazy twice-a-day workout plans. I mean really, who has time for that? Instead, changing your diet to include healthier options, decreasing your portions, and engaging in quality fat burning, muscle building exercises is a much better way to go. Besides, you are much more likely to keep the weight off doing it this way. Now with that being said, let’s use an example. Let’s say, you have 20 pounds you want to lose. That means, healthily, you have at the least, 10 weeks to do it in. That’s almost 3 months. And if you want to lose more than 20 pounds, then that will take even longer. Really, that’s a lot of pressure you are putting on yourself. That gives you very little margin of error. And remember, you have to choose a wedding dress, sometimes 6 months before the wedding, so you want to be very close to your ideal weight when that happens, so you don’t have issues with alterations as your wedding day nears. I sort of mentioned the second reason I say to start as early as possible and that is to take some of the pressure off. You will be giving yourself time to jump back on the horse and not beat yourself up if you have that extra piece of pie at Thanksgiving or that third glass of wine for your best friend’s birthday. The point here is that if weight loss is a part of your journey, then you want to give yourself a fighting chance. Giving yourself time to do it in the healthiest way possible will ultimately keep your stress levels down and you can focus on all of your other wedding planning tasks. You don’t want to add any unnecessary stress, so set realistic weight loss goals and give yourself enough time to reach them. Would you buy your wedding dress without trying it on first? I would hope the answer to that question is “no”. Well, you should feel the same way about your wedding day hair and makeup as well. It may be hard to believe but many brides will sign a contract with a glam squad solely based on the pictures they see on Instagram. Ladies, not wise. My next recommendation is to have a makeup and hair trial before signing the contracts. You don’t want the first time that your makeup artist and hair stylist work their magic on you to be the morning of your wedding. No matter how beautiful their work may be on their Instagram feeds, you want to be sure that they are familiar with your hair texture and skin type. Sure, you can look at a photo and say, “she has the same complexion as me” or “her hair is curly like mine.” But until your glam squad can put their hands in your hair and brushes on your face, there is no guarantee. Maybe your hair is curly but requires more moisturizing. Or maybe you have beautiful acne-free skin but are super oily. These will all affect how your look turns out, so you want these things to be known and experienced by your artists ahead of time, so you can make an informed decision. No matter how good your memory is, there is nothing like a quality picture that transports you back in time. Unfortunately, the older we get and the more we experience life, the more likely our memories forget the little details of certain events. For this reason alone, I highly recommend that you invest in a quality photographer. Now, I don’t mean that you should blow your entire wedding budget on your photographer, but do put some time in making the decision. Remember, after it’s all said and done, it will be your pictures that will tell your engagement and wedding day stories for years to come. You want to be sure that you and your photographer have the same vision in mind. Make sure to communicate what special moments you definitely want captured. You want a photographer that can pick up on those candid moments that no one else sees, like when your fiancé is slyly checking you out as you walk down the aisle, or when that single tear falls down your dad’s cheek as you say, “I do”! All of those little details will matter and as time passes, those moments can be relived every time you look at your wedding photos. So, be diligent in your quest for a photographer, and you will have those memories to share with your loved ones for generations. One mistake many couples make is planning their wedding up until the day. That is a huge mistake and big part of the stress experienced on the wedding day. So instead, I suggest making a plan to have all planning activities done at least 1 month before you walk down the aisle. This will allow you to have some breathing room and time for reflection without the pressure of still getting tasks done. Now, I know, it may be completely unrealistic to have “everything” completed 1 month before, but you surely can have all of your decisions made. A few things that may still need to be done are making final payments to some of your vendors (particularly your caterer after receiving a final guest headcount), and final reviews of your wedding week and day timelines. Try aiming to have everything else done. Use that last month to dot your i’s and cross your t’s, not still writing the sentences (if you catch my drift). One of the best recommendations I received when I was planning my wedding, was to plan for my rehearsal and rehearsal dinner to be on the Thursday before my wedding instead of the Friday. It was one that I hadn’t heard before, but it made it total sense. Having your rehearsal two nights before your wedding vs. the night before gives you so much time to breathe. Now, don’t move your rehearsal and then fill the day before your wedding with more planning to do’s. Instead, use the day before to relax and reflect. Go to the spa, get a mani and pedi, check into your hotel, have some wine and just be. Write a letter to yourself expressing your thoughts and how you’re feeling. Have your bridesmaids come over just to hang out. You want this day to be peaceful and a day of mental preparation. Having the rehearsal dinner out of the way will give you that one extra day to get your mind ready to be a wife. You’ve spent the last several months planning and now it’s show time. No matter how much you want to accept it, you have a starring role, which means, you have to relinquish control and allow someone else to direct it. So, my last recommendation in Part 1 is to hire a wedding day coordinator. A wedding day coordinator will run your timeline, keep the night’s activities moving, and give you the chance to really enjoy your wedding with your new spouse and guests. It would be nearly impossible for you to keep up with the time on when to begin your first dances, or cut the cake, or throw your bouquet. You don’t want to be thinking about all those things the night of your wedding. Let your coordinator keep up with the time and all you have to do is focus on your guests. Now don’t let the name fool you. A good wedding day coordinator will not just show up on the day of your wedding. You will typically be working together 1 to 2 months before hand so that both of you can devise a plan that will work. You want to be confident that your coordinator will execute your wishes and there has to be enough time before the wedding to make sure that can happen. These are my top recommendations as it pertains to actual planning tasks that need to be decided on before the wedding. There are many other things that need to be done but thinking about these early on will surely get you on the right track. 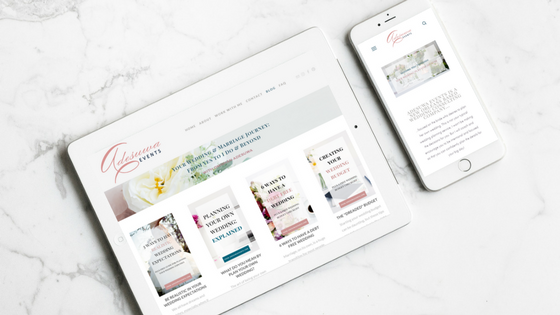 Part 2 of my top wedding planning recommendations focuses on your relationships, future marriage, and the wedding day itself. Below, I am giving you a Wedding Budget Checklist. This will help you conquer my first recommendation of not going into debt by creating a budget and planning for your wedding expenses.